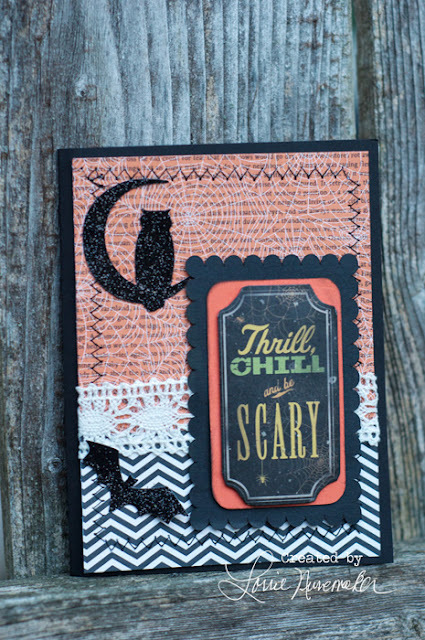 Lorrie's Story: Halloween Card with Silhouette..... Again! Here is another Halloween card I made with the Silhouette and some papers from my stash. I cut the owl, bat and the scallop rectangle with the Silhouette, stitched around the card base, added a dash of lace and the sentiment. I am in love with the black and white chevron paper!